Hello and welcome back to Early Bird Breakdown. It’s week 11 of the season, last week the Packers hosted the Dolphins. Before going into this week’s match up we will take a look back at the recap. The Packers handled their business, as they should, against the hapless, Brock Osweiler-lead Dolphins. The star of the game was Aaron Jones, who was leading the NFL in yards per carry (with a minimum of 50 carries) and finally was given more opportunity to rack up carries. While he only had 15 carries, he ripped the Dolphins apart for 145 yards and a pair of TDs. Defensively the Packers got after Osweiller and had 5 sacks. The Packers cruised to a 32-12 victory. Seattle’s defense may be missing many stars from yesteryear but they still are no slouch. The Seahawks remain in seventh in passing defense despite no longer having the, “Legion of Boom,” but their run defense is exploitable. They give up 118.6 yards per game on the ground, tied for 18th in league. And after last week, the plan should be pretty obvious; it’s time to get Aaron Jones over 20 carries in a game. 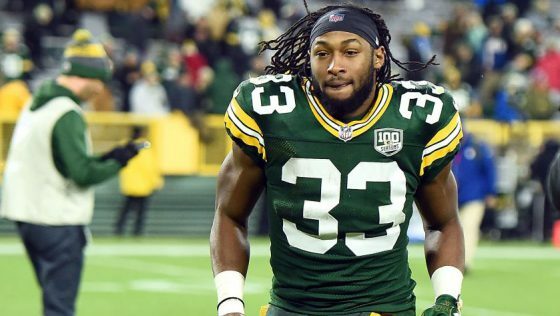 Aaron Jones should be the focus and star on offense. The passing offense for Green Bay has been efficient but not spectacular, there is no reason to play into the Seahawk’s strengths. McCarthy has been hesitant to run this season, but now is the time to pound the rock. While Seattle’s weather will not be poor, it is a good habit to get into before the December games in Green Bay when the weather helps the run game and deflates the passing game further. If it were not for historical anomosity between the teams, Packers fans might feel sympathetic for the Seahawks offense, at the very least quarterback Russell Wilson. Similar to the Packers offensive playbook this season, Seattle’s game plan has been, “let the quarterback run around and hopefully make a miracle play to bail us out because we do not have any good ideas on how to run an offense in 2018.” Unlike the Packers, Seattle does not have the weapons or talent to exploit the Packers defense. Combined with an offensive line that has given up 29 sacks (tied for 7th most), it will be difficult for Seattle to move the ball effectively against the Packers defense. Wilson will be the focal point and likely will keep the game close though. For the same reason a healthy Rodgers can miracle any game back into reach or a win, Wilson has been doing his own exploits like that this season. Seattle will be quite pleasant for the game, with an expected kickoff of clear skies and 50 degrees. Packers fans bitterly remember this rivalry for a few years and traveling to Seattle has not been kind for the Packers. However, this Seattle team is a shell of its former self. Despite still remaining a good defense, they are just outside the top 10 in total defense and are exploitable by the run, something Green Bay has been hesitant to employ at a consistent level but should be the game plan this week. If Aaron Jones gets over 20 carries, there is no conceivable way in my mind the Packers lose. The drive times they would grind out would keep their defense fresh while gassing the Seahawks’. If they try a heavy throwing plan though, things get a little dicier. Seattle is prepared to stop the pass and the fans there will make it difficult to make pre-snap adjustments. Russell Wilson will find a way to get the endzone a few times at home, so it is paramount the Packers grind down the Seattle defense early to be able to score more easily in the second half. 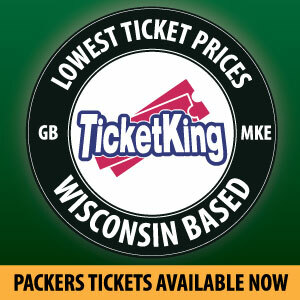 I think the Packers are the more talented team, and should be able to get an elusive road victory, Packers win 27-20. This entry was posted in Early Bird Breakdown, Stuart Weis and tagged Aaron Jones, Aaron Rodgers, mike mccarthy, Packers, Russell Wilson, Seahawks. Bookmark the permalink.